In the first game, Barcelona won 4-1 and almost closed the tie. Roma have this opportunity to clear their image after the rout at the Camp Nou. The Italian team occupy the 4th place in their league, waging a fight in this season finale with Inter and Lazio for two places for the Champions League. With the 2nd place very far away, the goal is to secure the 3rd place, however the team comes from a home defeat to Fiorentina which brings to three the number of games without winning. Curiously, his performance indicates that he can do better away from home than at home, something that does not pay anything for his miraculous task of overcoming his three-goal draw for this tie. It’s been a good time for the men of Catalonia. With a hand in the Spanish title, the team looks now with strong ambitions for the Champions League. 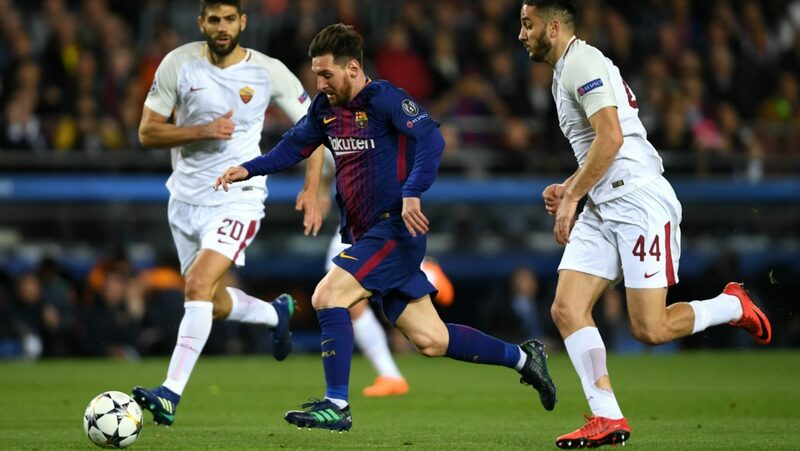 Messi himself knows that a victory in this competition leaves him with foot and a half in the Ball of Gold, despite the scoring vein of Ronaldo in this event. The advantage of three goals that bring of the first hand, they anticipate a set to control the match without hardships. Barcelona do not know how to play the game, so I think they can get more ball and more opportunities than the Italians. I foresee a game without great history. Barcelona proved that it is a better team than Roma and should be present in Italy as owner and master of the match. It is true that the Italians want to prove before their public that they had team for a more balanced tie, but a Spanish goal in the first half completely closes the tie and that is something that will certainly be in the minds of the Catalonian team.